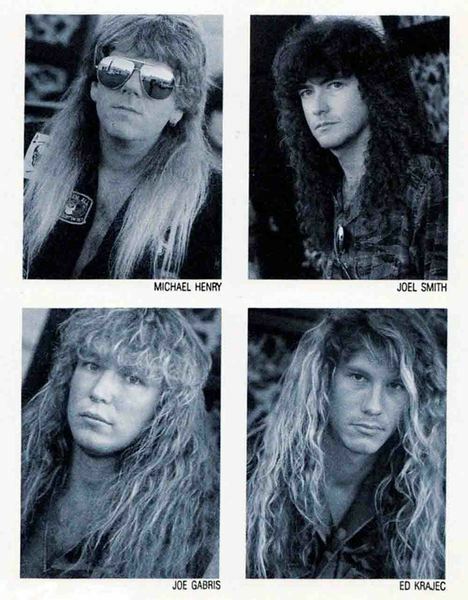 In 1987 in Los Angeles the musicians Joey Gabris (bass), Gene McEwen (drums), Ed Krajek (guitar), Joel Smith (guitat) and the singer Michel Henry (AUGUST REDMOON, EDEN) join the Heavy Power Metal band ARMED FORCES founded.A first promising 4-track demo will be recorded in its founding year.In 1988, another 5-track demo is recorded, whose songs are even more mature and powerfull.In 1990 ARMED FORCES record another 5-track demo. 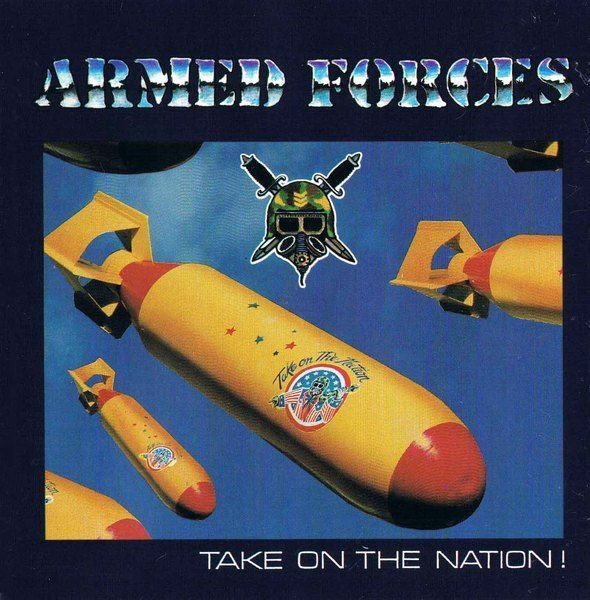 It also works with a record deal from Bizarre / Straight Records.The ARMED FORCES debut album "Take On The Nation!" released in 1991. The 12 songs offer wonderful Power Metal with a pure vocals by Michael Henry. Among them is the RAINBOW cover song "Man On The Silver Mountain".In 1998, ARMED FORCES are back in the studio. 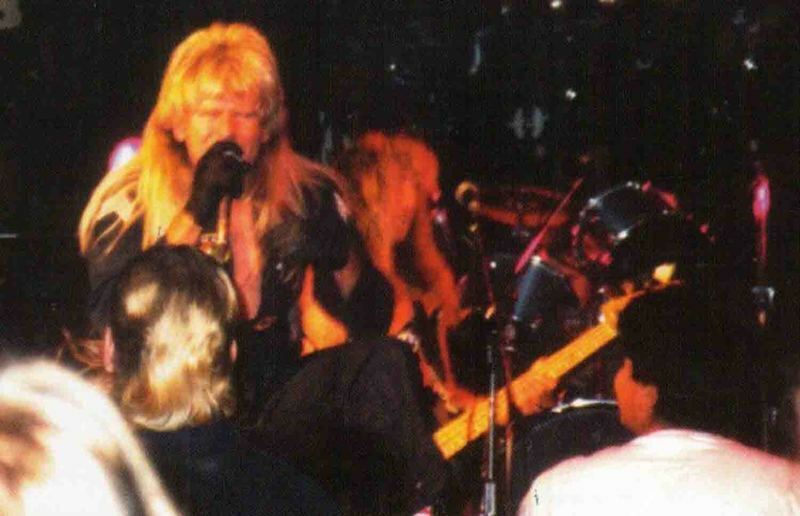 After the recordings, singer Michael Henry dies of bone cancer at the age of 37.The second ARMED FORCES album "Armed Forces" will be released in 1999. The 10 songs are on the same level as the debut album. Since the band does not find a suitable singer, ARMED FORCES disband in 1999.On November 1, 2003, High Vaultage releases the ARMES FORCES CD "No Guts ... No Glory !!! ".In addition to the regular 9 songs, High Vaultage has 8 bonus songs on it. This CD is a kind of Best Of CD with previously unreleased ARMED FORCES songs.All three ARMED FORCES releases are hard to come by today. But it is definitely worth an expensive purchase. 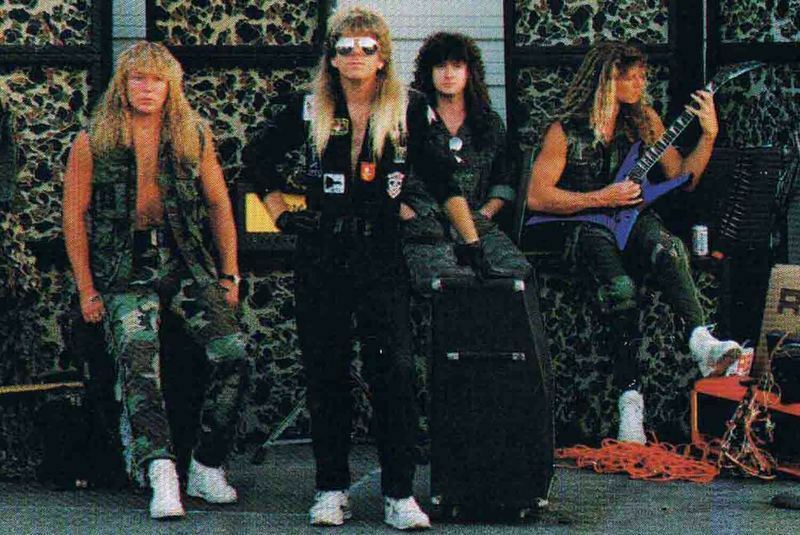 Armed Forces are straight forward heavy metal that reminds me of bands like Metal Church and Vicious Rumors. The album opens with one of the band's most immediately catchy songs complete with shout-along chorus, chunky riffs and manic guitar leads. "Take on, take on the nations!" I can't say that about the rest of the album. It took me several listens to begin discovering all the cool nuances of this CD. One thing about this band is that they are not some radio-glam metal band. This is real metal! "Hard As Nails", "Nothing to Lose," "No Guts No Glory", "My Turn Tonight" etc. are all slamming the listener between the eyes with a pure metal assault. Actually the weakest part of this CD is the somewhat flimsy version of Rainbow's "Man of the Silver Mountain." It's not that their cover is bad, but I don't think it's the strongest song on the album. 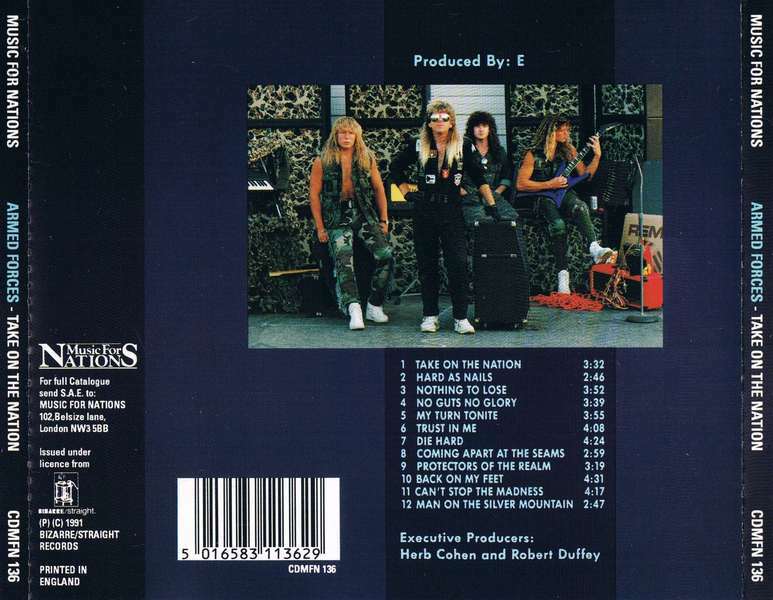 The production on this CD is solid with all the instruments clearly heard and a good guitar sound, which is essential on a good metal album.